When do attempts by Chinese firms to acquire American companies generate political backlash in the United States? 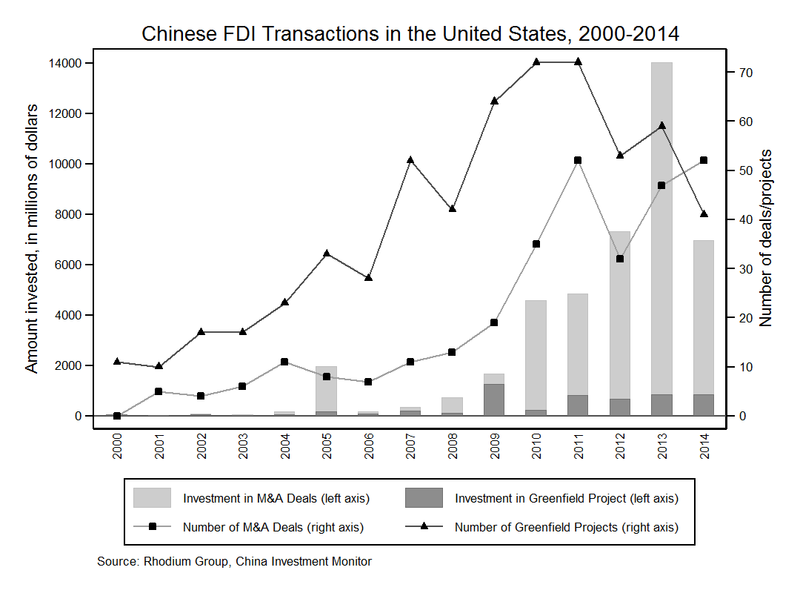 In a paper that was just published, The Political Economy of Inward FDI: Opposition to Chinese Mergers & Acquisitions, I explored this topic with Dustin Tingley, Chris Xu, and Helen Milner. As the above figure from our paper shows, investments from China in the United States have increased dramatically in the last 15 years. During that time, Chinese firms have attempted or completed Mergers & Acquisitions with over 500 American companies. These M&As have even included Chinese firms taking over large publicly recognized American companies like IBM’s Thinkpad division and Smithfield Foods. Although some of these transactions have gone largely unnoticed, others have generated considerable backlash from both the public and government officials. To test what factors predict political opposition to these deals, we utilized a dataset of 569 attempts by Chinese firms to complete M&As with American companies between 1999 and 2014. For each transaction, we searched a number of news databases to determine whether each transaction generated political opposition. We then collected information on a variety of factors about the companies involved and the relevant industries for each transaction so we could test what factors are associated with M&As generating political opposition. We found that political opposition is more likely when the American companies targeted by Chinese firms are in security sensitive industries or economically distressed industries. We also found evidence of reciprocity: opposition is more likely when the American companies face restrictions from acquiring firms in the same sectors in China. If you’re interested in learning more about the results, or the methods and data we used, the paper is available on SSRN.